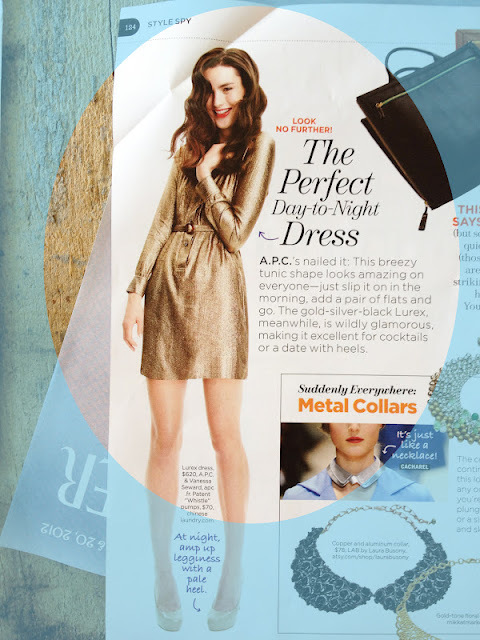 Dog-eared and Daydreaming...of this metallic shirtdress! / Hey, EEP! Dog-eared and Daydreaming...of this metallic shirtdress! Have you flagged anything in the September issues you're dying to have? I've been hiding my stack of tear outs in our guest room...shh! I'll organize 'em eventually.